So I went to get a cleanser and game back with a bit more- and pizza! To be quite honest I’m surprised that I came back with the cleanser because normally I forget what I actually went for. So- let’s dive right in! The first thing I picked up was this absolute beauty. I don’t know how or why it works but I know that I love it. For someone with super sensitive skin this is great. There are no perfumes or alcohol (that I know of) in the product so it doesn’t irritate or dry out my skin. It also removes ALL of my makeup so effortlessly! And it’s hypoallergenic. 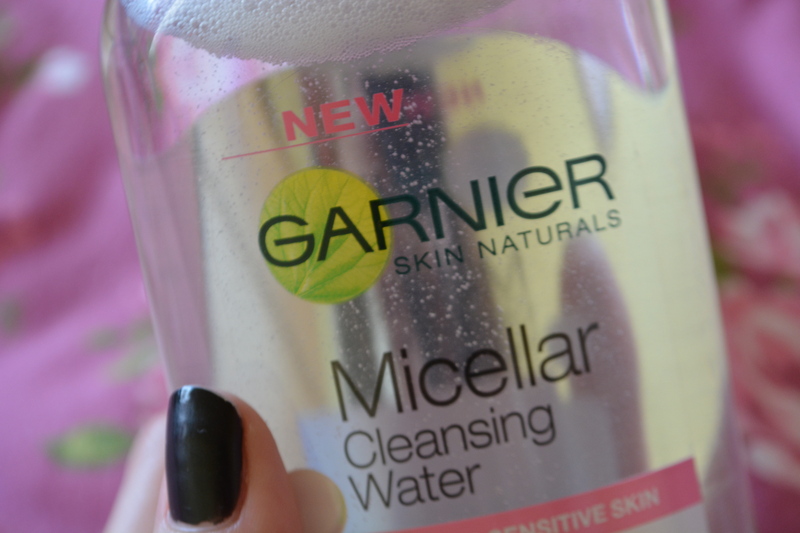 It was around £5 but for a cleanser that I loooove in a 400ml bottle, who cares? Not me. My second purchase was the Collection Lasting perfection concealer in “fair”. I wouldn’t say that this completely covers up my under eye circles but I am yet to find any product that does. 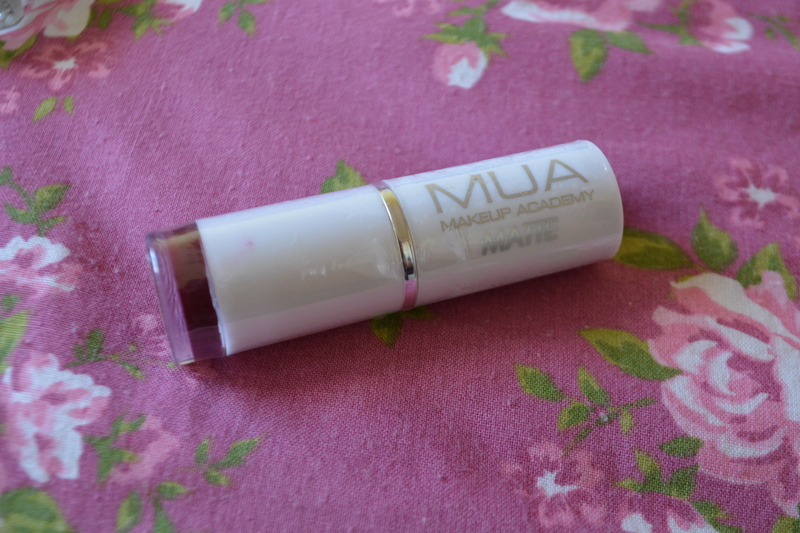 It is fairly lightweight and very easy to blend, Its not particularly pink as well which I love because most pale products are pink toned and that just annoys me. This is my third tube so I must like it. I think this was about £3 but I don’t know because I binned the receipt immediately. REMOVE ALL EVIDENCE. The next two things I picked up were top coats. 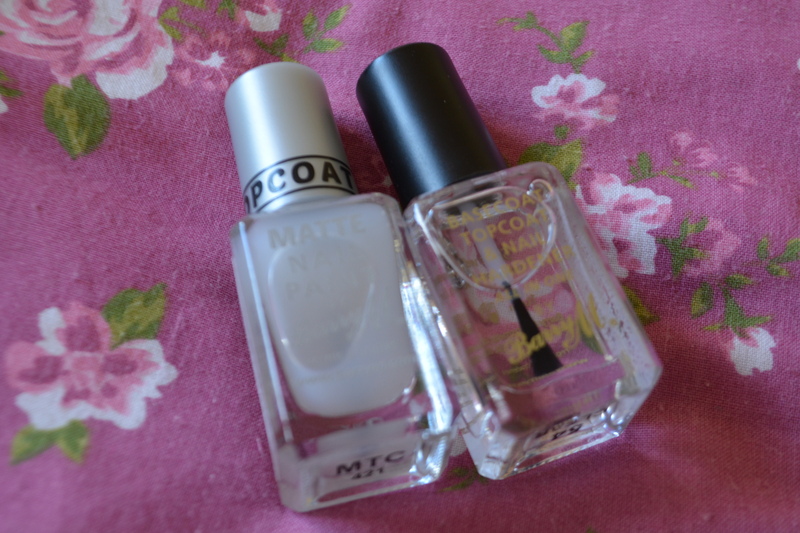 I love the idea of making any of my nail varnish matt so I picked up one matt top coat and one normal one! They were both about £4 each, not bad, eh? The one on the right is also a base coat and a nail hardener- bonus! These are both by Barry M because I just LOVE their nail varnishes, especially the gelly nails, I can’t get enough of them! If you don’t own any Barry M product please try any of the gelly nails colours, please? I promise you will fall in love. This next thing I got is kinda random. 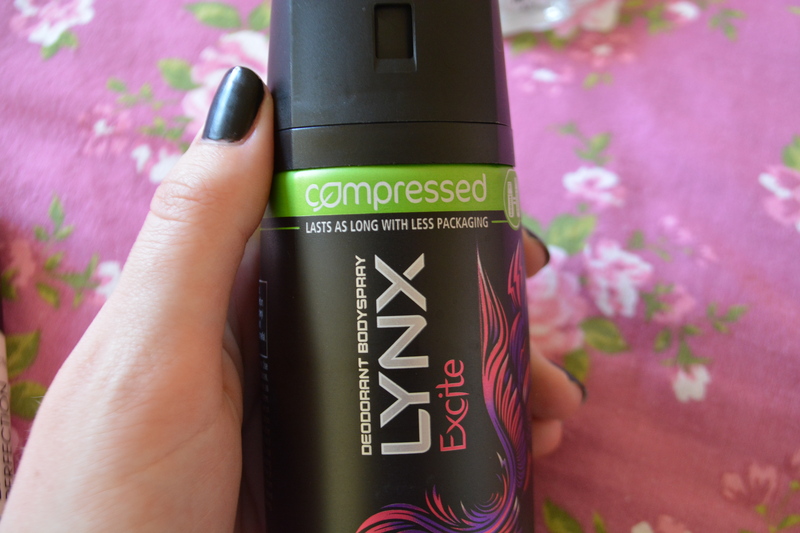 My Dad loves this anti-perspirant but won’t buy it because its nearly £4. I felt like I should buy him something because the other day I went to go the loo and my phone fell out of my pocket and some how slid underneath the bath, meaning he had to take off the side panel to get my phone out. He won’t let me get him chocolates so now he can smell nice instead. I got these two for my little cousin, she’s like the sister I never had. Because she’s only 12 I don’t want to full on splurge on makeup for her but I did pick these two up….and order an eyeshadow and concealer palette online, whoops. These were only £1 each! 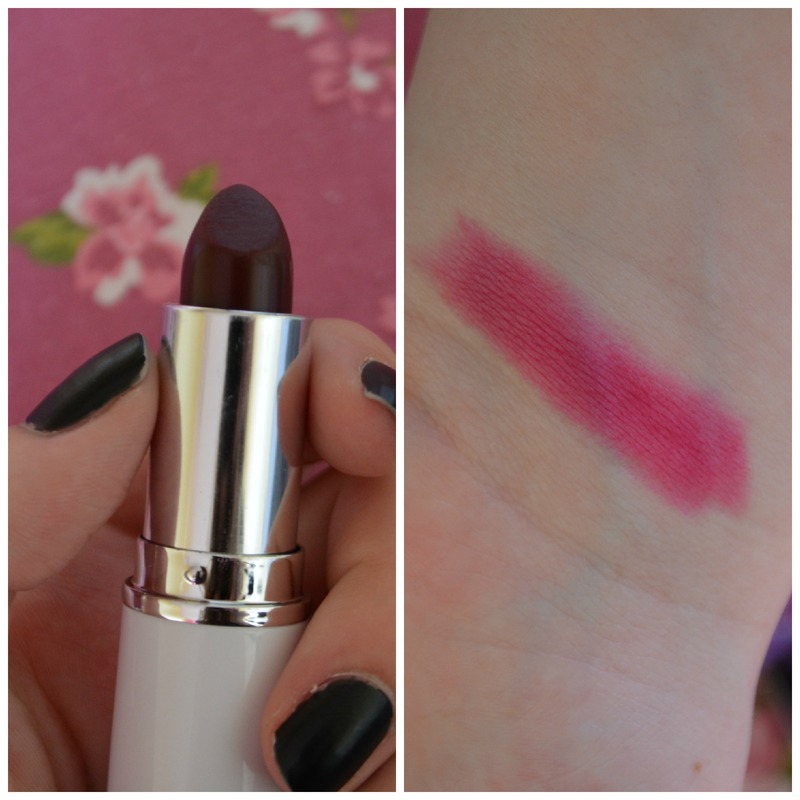 The lipstick is a gorgeous creamy coral colour in the shade “nectar”- cute – and the blusher is, as you can see, a plain pick colour in the shade “bubble gum”. 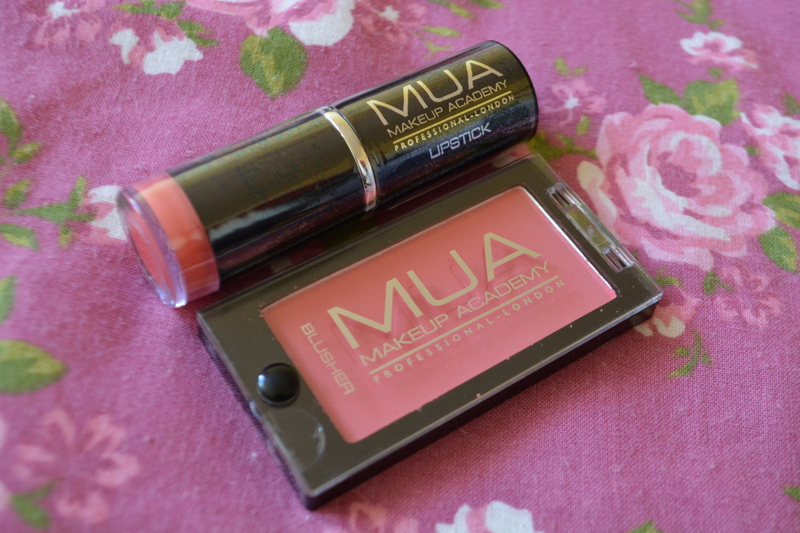 I am so happy that they have started to properly name their products instead of them just being numbers, go MUA! Whilst I was in that section I spotted this matt lipstick. I got it in the colour “wild berry” as I am loving dark grungey colours at the moment. I know that I am going to wear it constantly in Autumn and Winter! I was a little disappointed when I swatched it though. It is still a beautiful colour, but just not as dark as I had hoped, at all. And that is it! If you were wondering what colour nail varnish I had, well, have on it is just the Barry M matt black- surprise, surprise. I hope you enjoyed this post and are having a great day, goodbye for now little buns!